Leave it to the cuteness of a little girl to uncover the hard truths about A Nightmare Before Christmas. 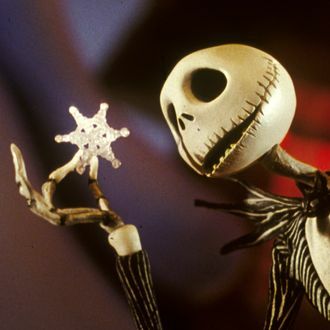 While fielding questions at a post-screening event at Colorado’s Telluride Horror Show film festival this past weekend, director Henry Selick found himself faced with perhaps the question most widely discussed since the film’s release: Is the Tim Burton–conceived stop-motion musical meant to be a Christmas or Halloween movie? Or even a hybrid of both? “It’s a Halloween movie,” Selick replied to the girl, according to Birth Movies Death, putting all the other theories to bed. Rejoice! “This Is Halloween” and “Werewolf Bar Mitzvah” can now live harmoniously on your seasonal playlist.